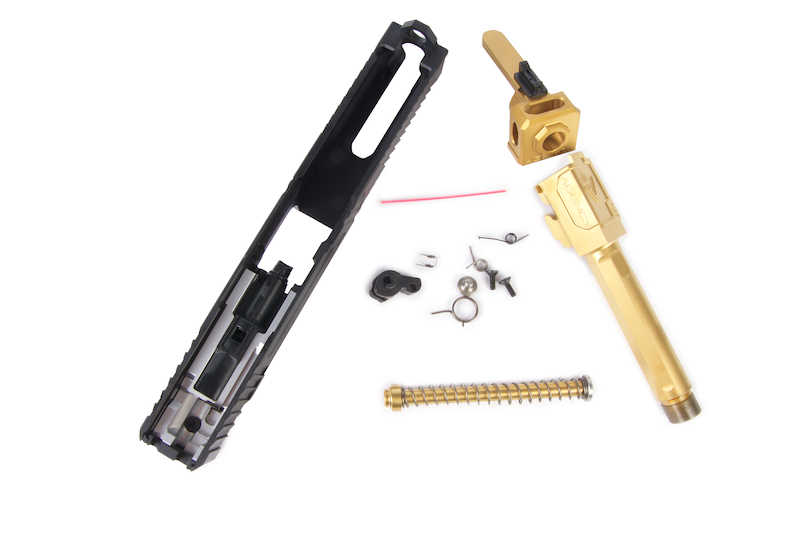 Fits Tokyo Marui G series Model 17 gas blowback pistols. 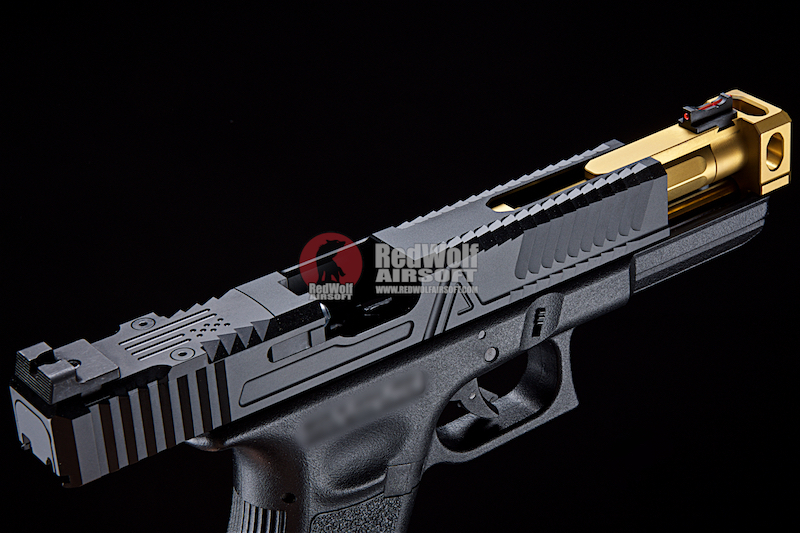 The Agency Arms Project NOC is a totally unique project brought out by Agency Arms during SHOT Show 2016. Though the idea of having a compensated pistol is nothing new, the NOC is Agency Arm's take, believing they can improve upon this concept. 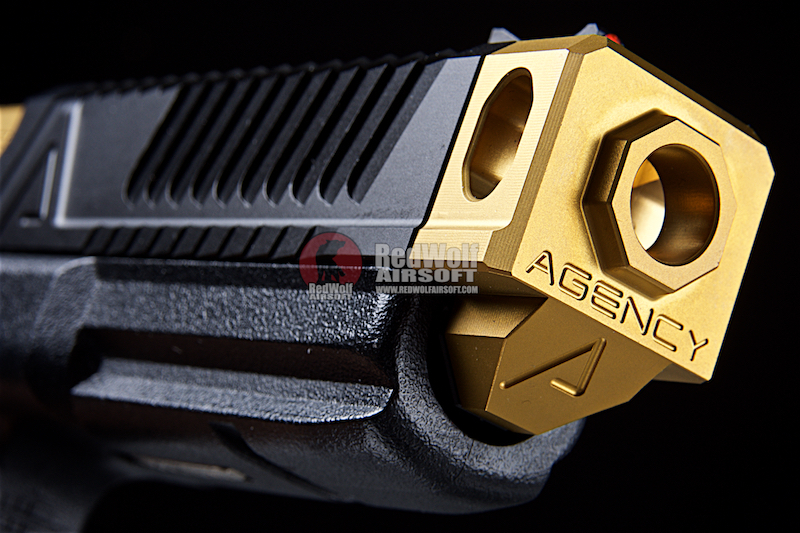 The overall length of the RWA Agency Arms Project NOC is the same as a traditional G series model 17's length + a micro compensator. This length is shorter than the G series model 34 so it will work with your standard model 17 holsters. A benefit of the NOC is that the gun is a "sight tracker" As the front sight is fixed to the top of the outer barrel, it does not cycle with the slide. This makes the tracking of the front sight extremely easy and quick due to the elimination of having your front sight travel back and forth on the slide during cycling. 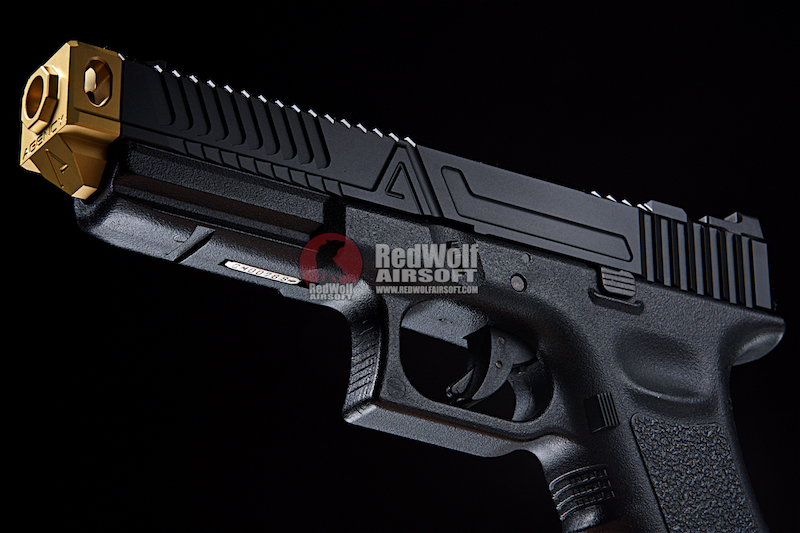 The RWA Agency Arms Project NOC, is a full size slide and features all the slide cuts and serrations that you may find on the real steel compact one. 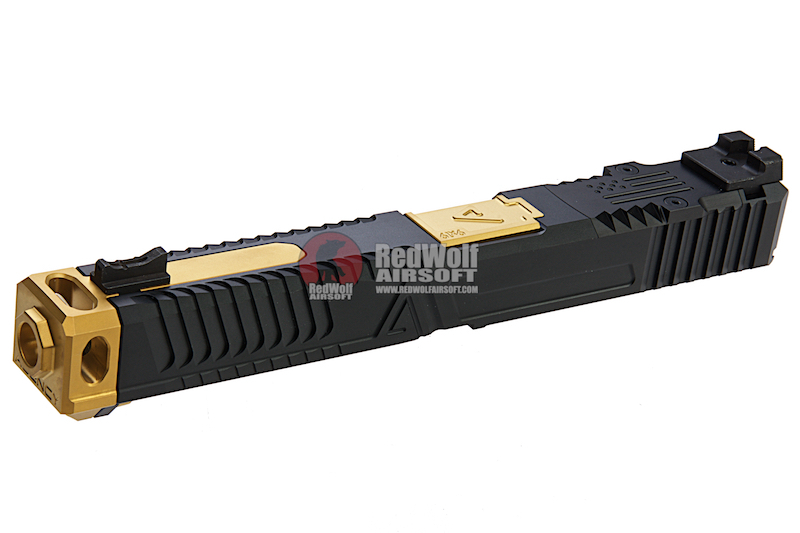 The NOC, is also RMR ready and comes with a battle plate. 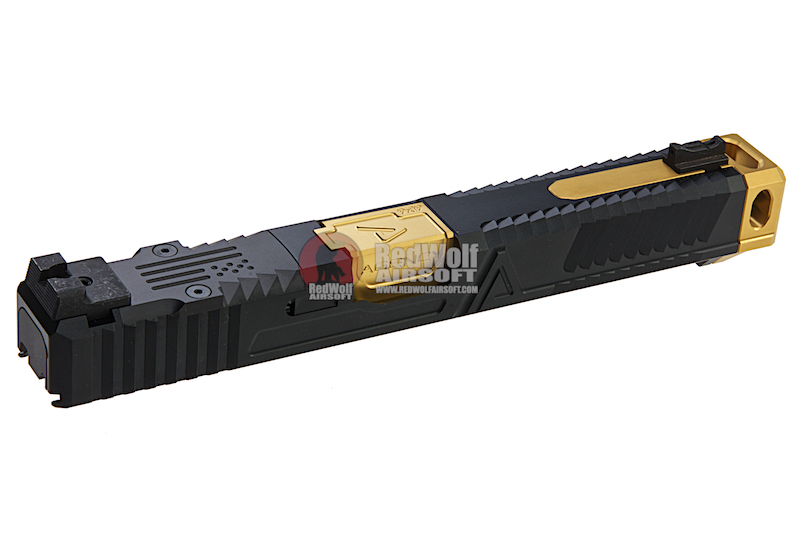 The standard front sight will feature a fiber optic insert and its rear sight is blacked out. The lines cut into the rear sight helps with eliminating glare and its slightly hooked front can assist with one handed manipulation if necessary by hooking it on to a surface, then racking the gun. 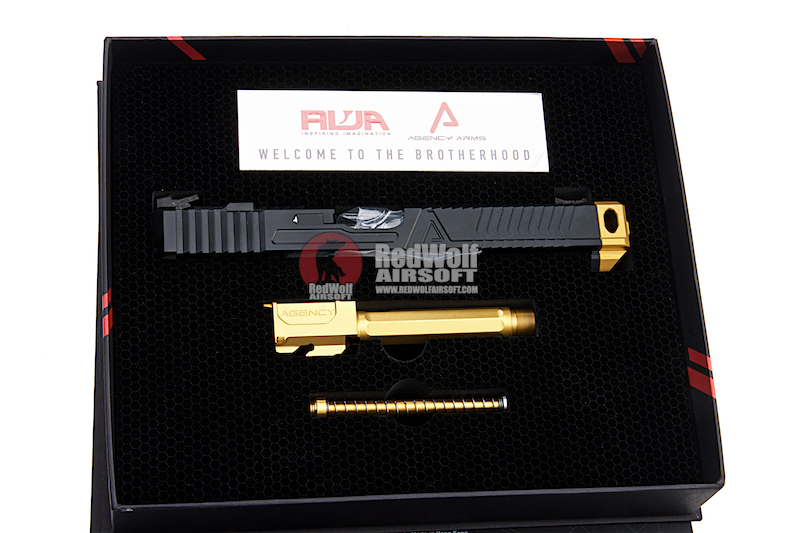 The RWA Agency Arms Project NOC is a faithful and exquisite replica of its real steel counter part. From the moment you open the box, everything from its cuts to its steel compensator being coated in the same TiN (Titanium Nitride) exudes quality and attention to detail. As part the fully licensed Agency Arms products, the NOC will be sure to thrill and delight wither you are an active player or a collector.